Hand-knotted in a beautiful pearl colourway, the Alienor Rug by Serge Lesage is the ultimate luxury accessory for a modern interior. 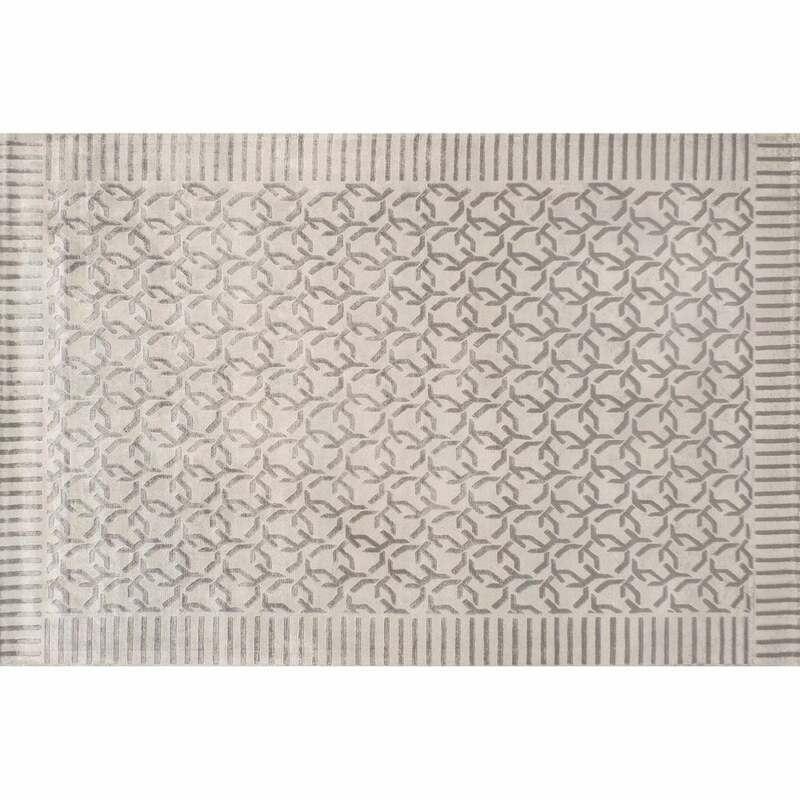 Featuring an abstract circular motif, the monogram is repeated across the expanse of the rug. Edged with a contrasting stripe, the chic design lends itself well to both minimal and traditional homes. With a soft, silky texture and classic look, the Alienor Rug will bring a luxurious touch to any living space or bedroom suite. Crafted from 100% Viscose. Bespoke sizes are available upon request. Make an enquiry for more information.